There’s nothing like some over-ripe bananas to get me in the mood for baking. 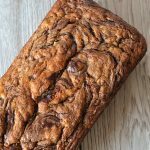 The go-to recipe is of course Banana Loaf but having made countless loafs in recent months (including one still lurking in my freezer!) it was time to put the bananas to another use. Cue the Banana Cupcakes! 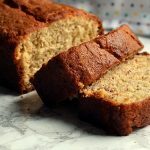 There’s a few things that make Banana Cupcakes a little more special that your standard loaf. The mixture itself uses a bit more flour and baking powder, meaning they’re a little lighter in texture. And better still is that cream cheese icing! I don’t know who thought adding a cheese to a cake was a good idea but it’s definitely one I am on board with. Plus there’s always something quite special feeling about a little cupcake. The perfect little portion of cake that sits right in your hand. 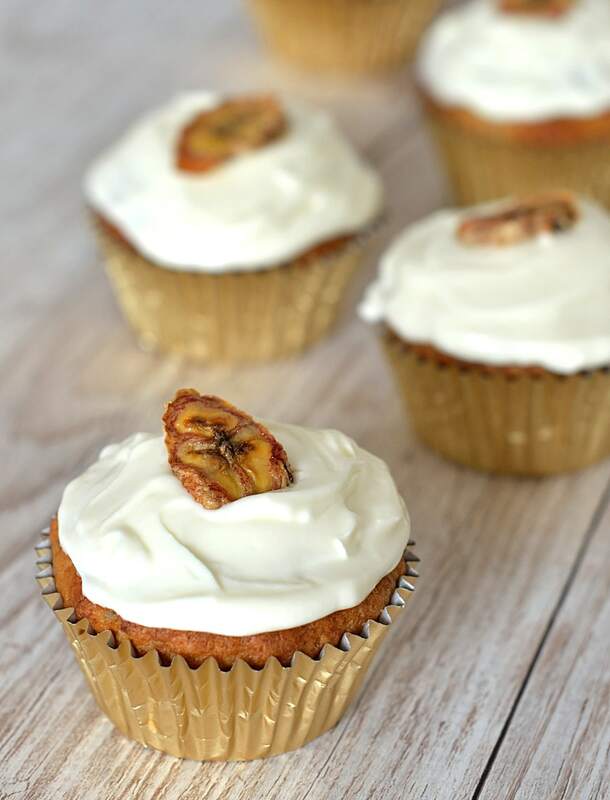 Even if we all know that these Banana Cupcakes are so delicious that you couldn’t possibly just have one! 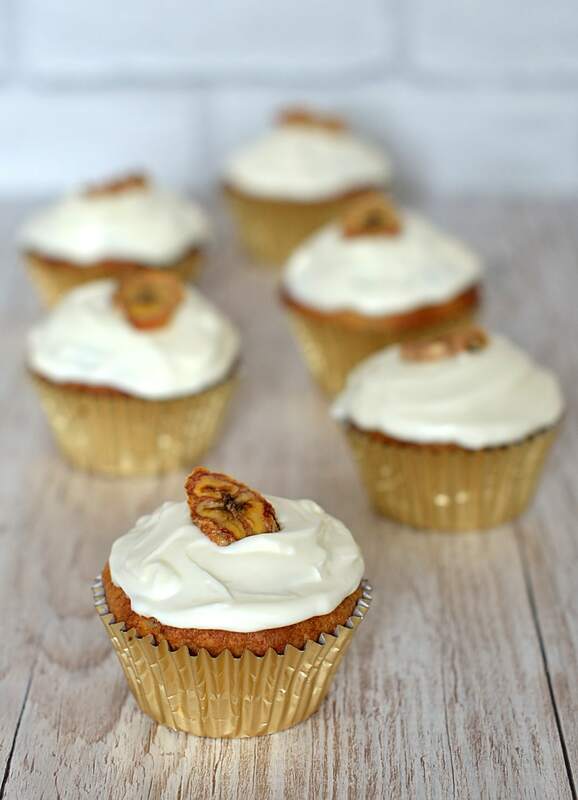 ♥ As with Banana Loaf, the best kind of bananas for Banana Cupcakes is the over-ripe ones. The blacker the better! 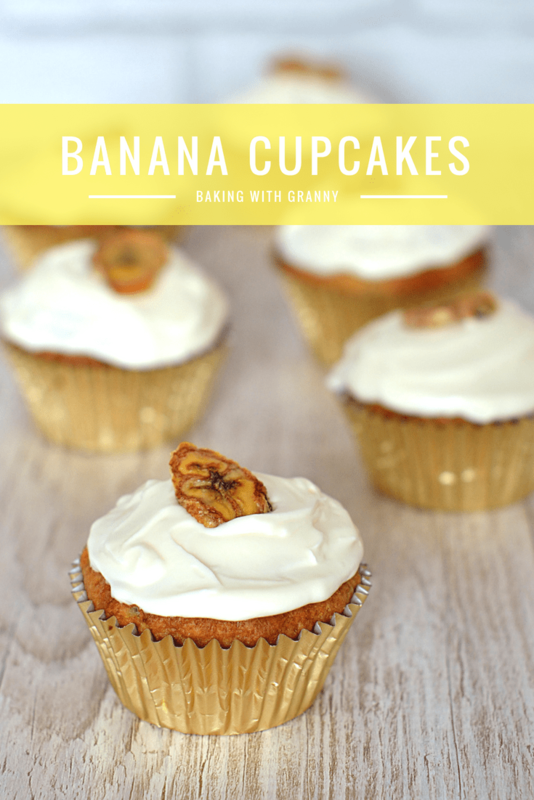 ♥ I topped these cupcakes with a dried banana chip but you could top them with a slice of fresh banana if you intend to eat them within a few hours. Pre-heat your oven to 170°c (150°c for fan-assisted oven or Gas Mark 3) and line a muffin tray with twelve cupcake cases. In a separate bowl (or mug) whisk the egg, milk and vanilla before adding to the mixture. Sift the flour and baking powder into the mixture and gently fold to form a batter. Using an ice cream scoop, transfer the batter to your prepared cupcake cases, filling each to about 2/3 full. Bake in your pre-heated oven for 15-20 minutes, until risen, golden and a skewer inserted comes out clean. In a large bowl, mix the icing sugar, cream cheese and butter together until light and fluffy. Once your cupcakes are completely cool, pipe or spread the icing on top of each. Top with a dried banana chip is desired. Pinned to try soon, can’t wait! Thank you!